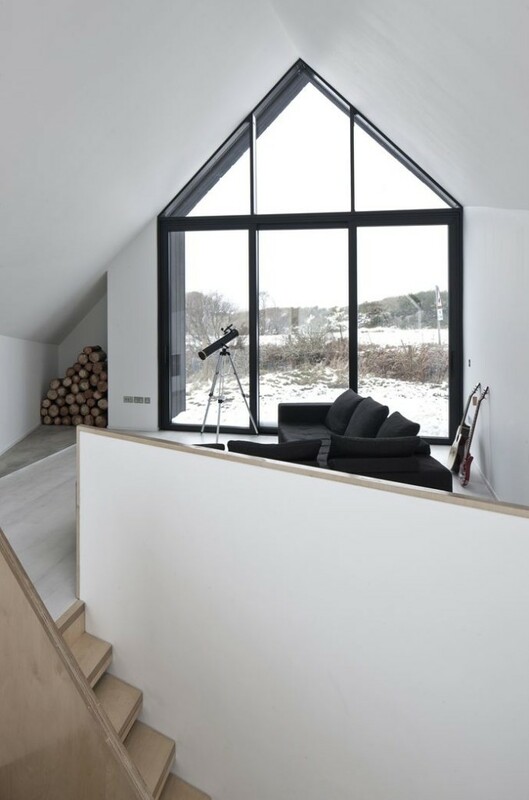 RAW Architecture Workshop have designed this angular black house at Camusdarach Sands with huge windows for taking in the views over the Scottish landscape. 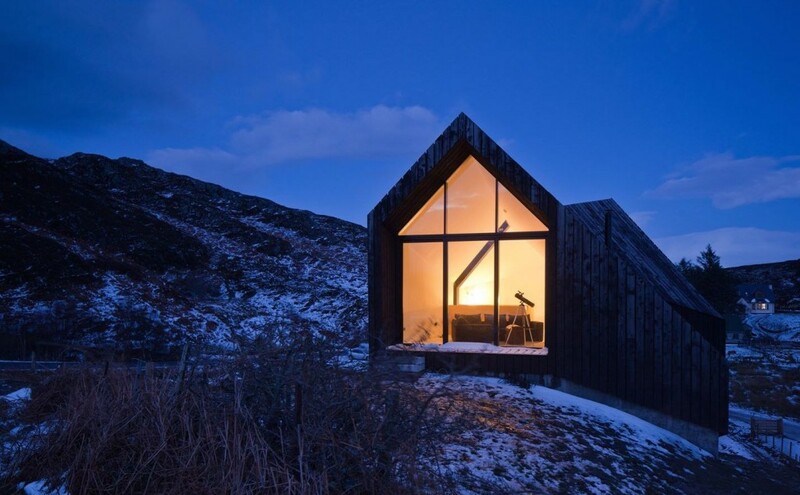 The shapes of these expansive gable windows are a play on the archetypal pitched-roof form of the traditional cottages found in the Scottish Highlands. 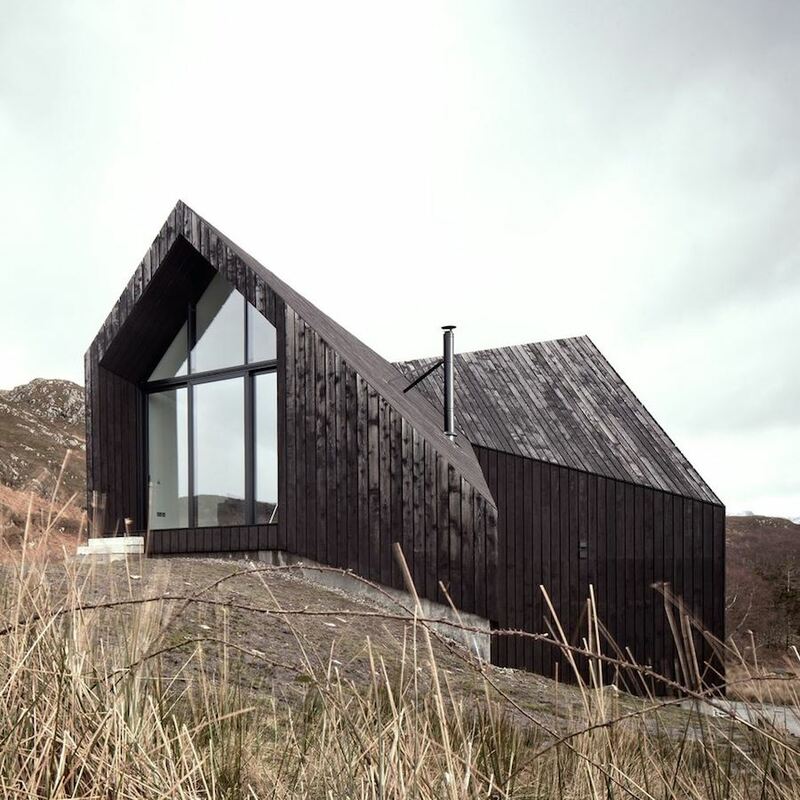 However RAW add a distinctly modern edge to this house by warping the shape of the structure to give it a contorted angular composition, and by finishing it with black-stained timber cladding which is also surprisingly camouflaging. 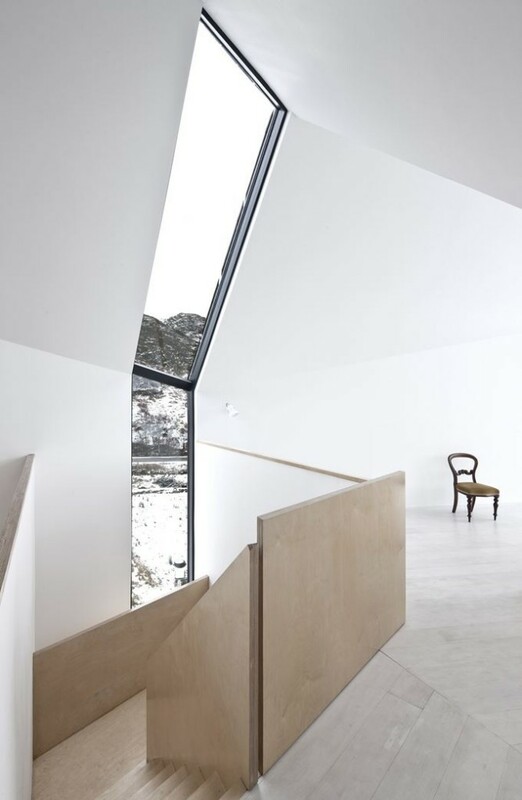 The initial design brief for the house at Camusdarach Sands was to create a dwelling that captured the views of the sunrises and sunsets over the nearby mountains and surrounding islands respectively. 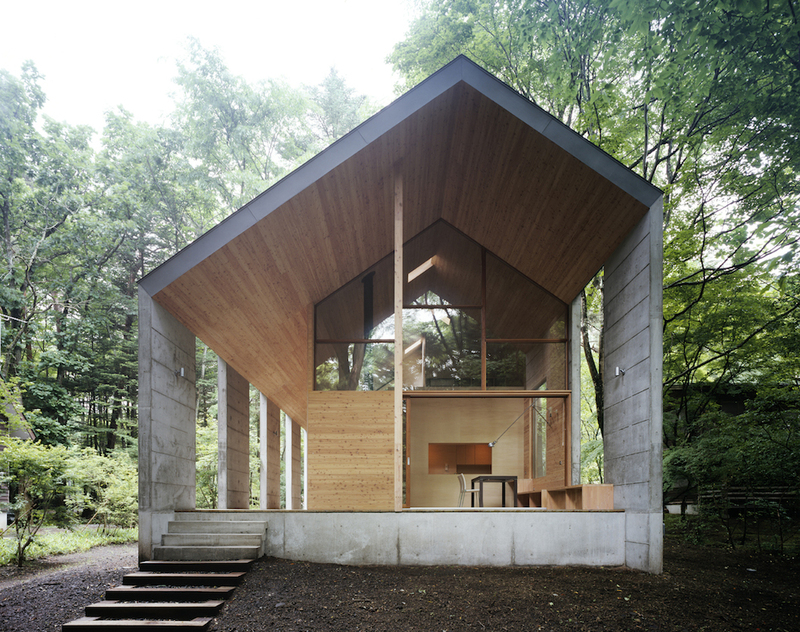 In order to achieve this, RAW created a kink in the middle of the structure to ensure that the windows at the end of the house lined up with these celestial points. 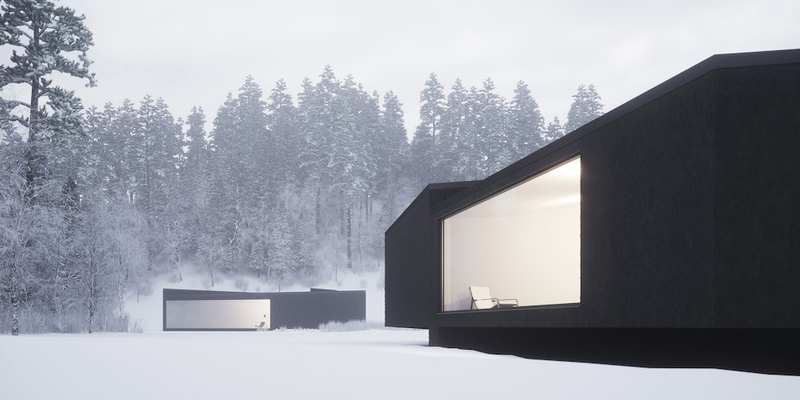 The rooms also widen towards the windows offering vast spanning views over the surroundings to accommodate the seasonal variations in the precise positions of the sunrises and sunsets. 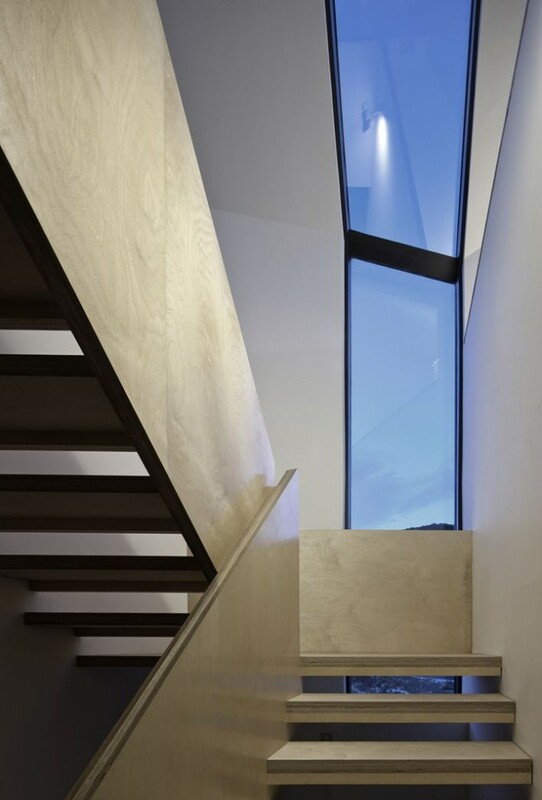 The three-storey House at Camusdarach Sands is composed of two parts: a concrete base which is partially underground, and a black timber frame superstructure. 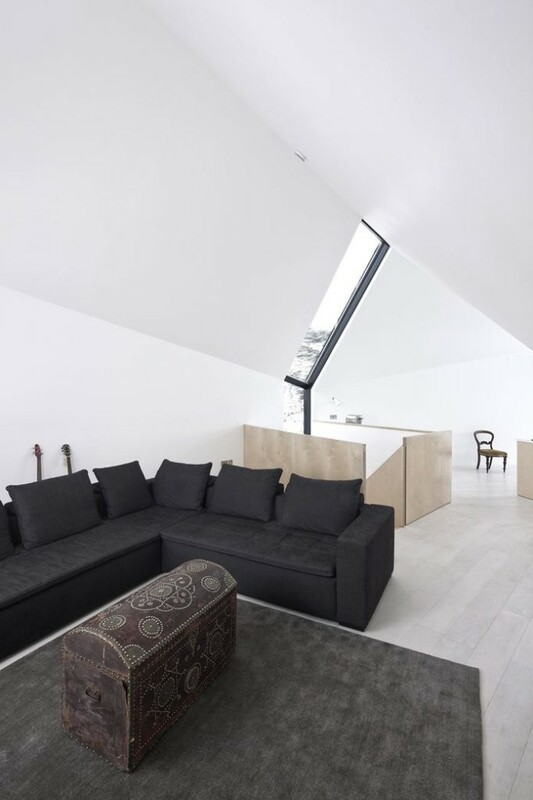 The room layout of the house is reversed in the sense that the bedrooms are to be found on the lower levels while the living areas are on the top floor to make the most of the views. 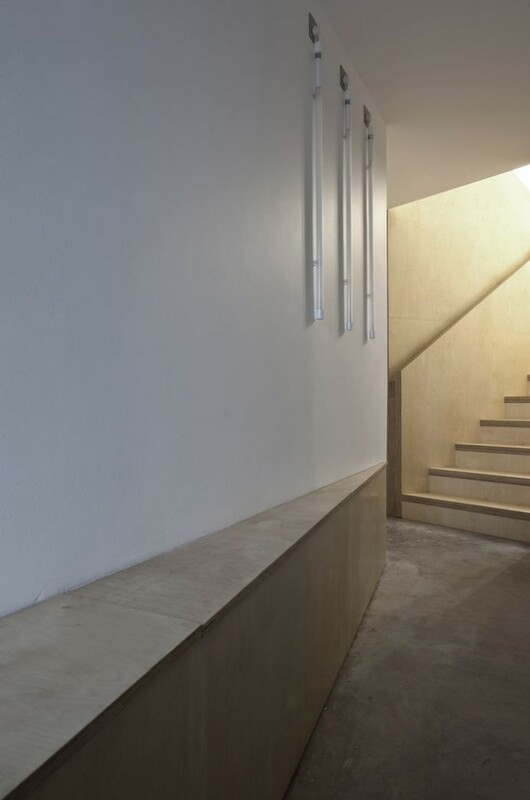 There is a stark contrast in both light and ceiling levels between the concrete ‘bunker’ style lower levels and the spacious top floor. 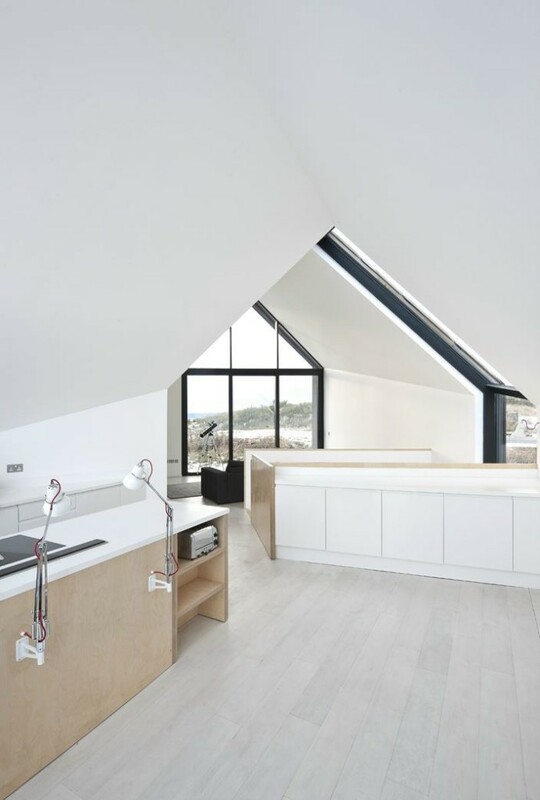 The House at Camusdarach Sands was also designed to be sustainable and this has been achieved in a number of ways. 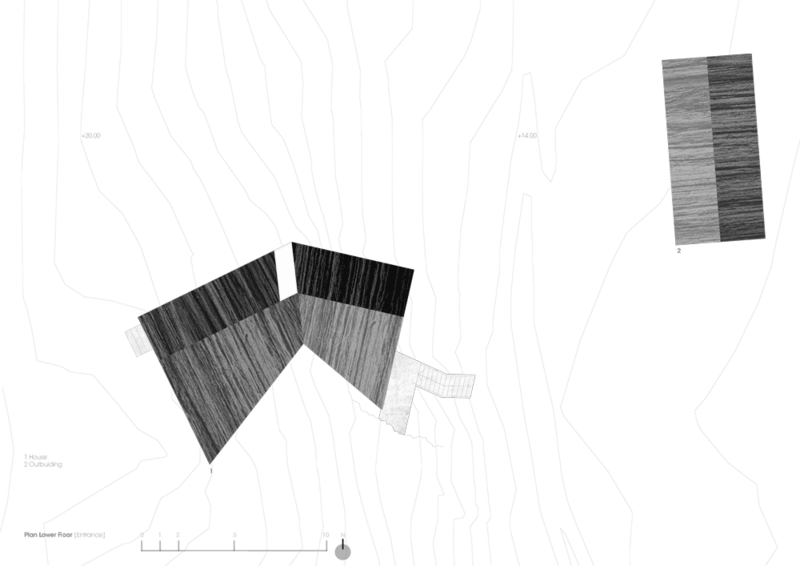 Building a portion of the house underground allows the soil to provide natural insulation as well as anchoring the house in place against the extreme Scottish winds. 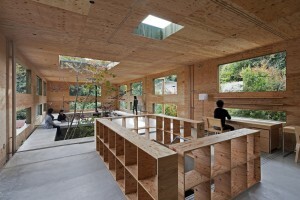 The house has also been superinsulated and fitted with an air source heat pump which vastly diminishes energy usage. 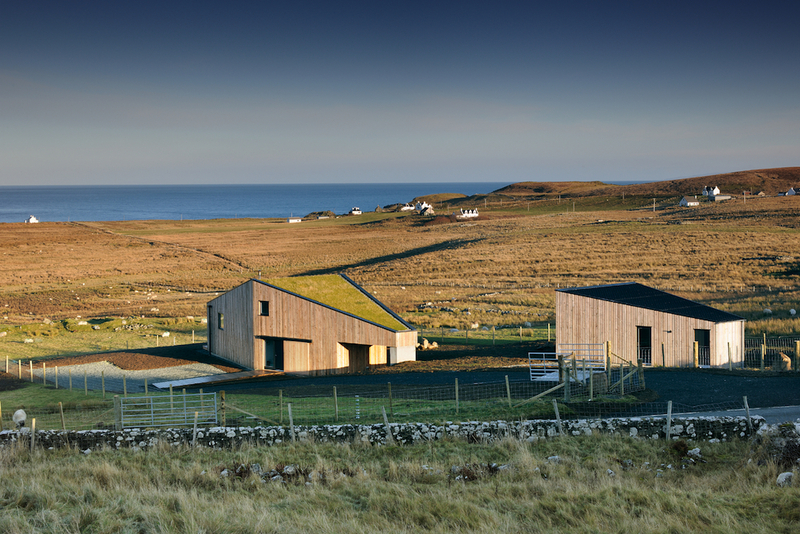 Opting for a timber frame above ground makes use of local renewable materials but might seem an unusual choice given Scotland‘s storms. 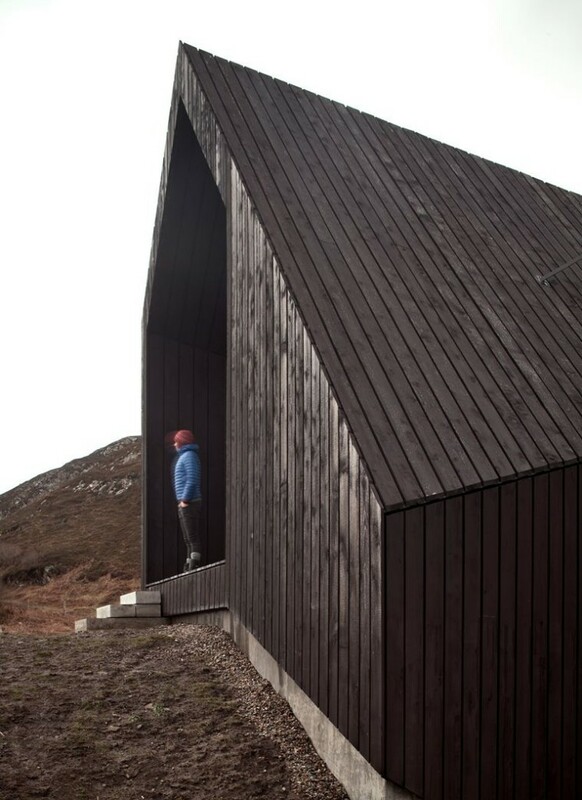 As was achieved with Kendram Turf House, the timber clad structure has been given a tactical aerodynamic shape which reduces the surface area upon which the wind can act and serves to deflect the remainder. 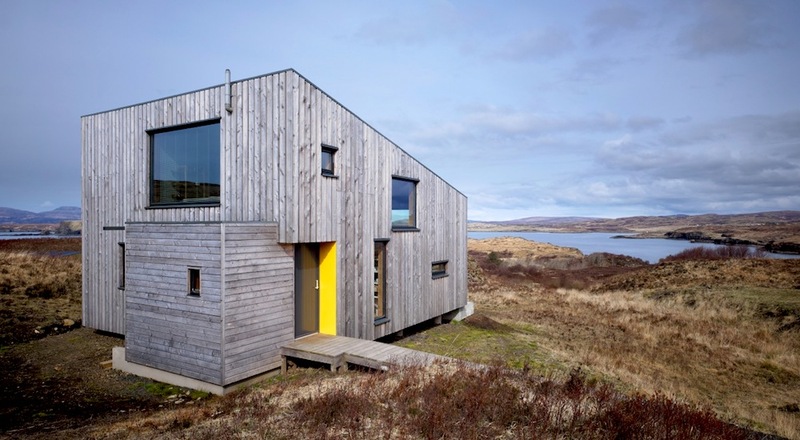 Black houses don’t tend to blend well with their surroundings but in the case of the House at Camusdarach Sands it has actually proved to be a surprisingly camouflaging colour. 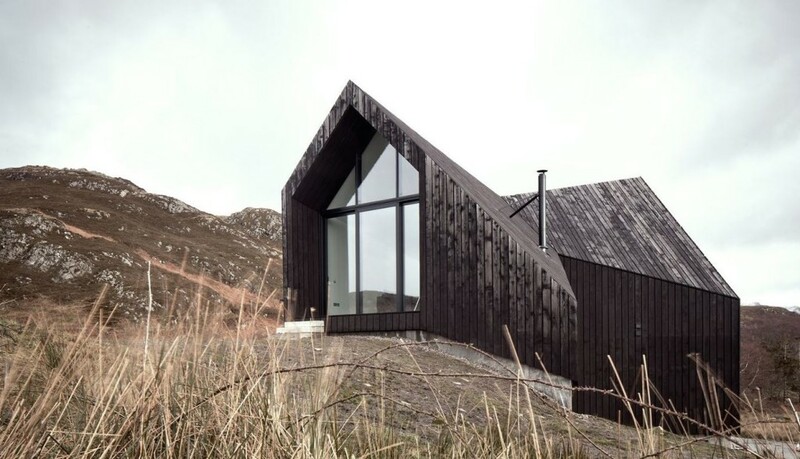 Whereas the traditional cottages of rural Scotland are painted white (which often stand out very prominently), the black colour of this house compliments the peat, gorse and stormy skies of the Scottish Highlands – particularly once the black fades to a more natural grey.